Despite looking distinctly happy, Fredrick Dover was apparently not. 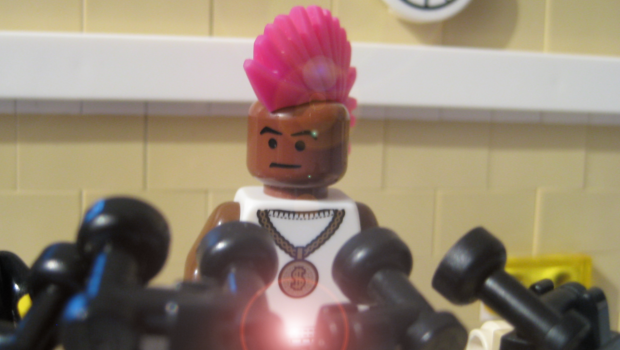 The Federation of Legopolis Chief Minister Fredrick Dover has accused Legoland of state sponsored terrorism by granting political party status to Democracy NOW and allowing the party’s sole elected official take a seat in the Davidium parliament. The accusations have been met with derision by the new Davidium administration and may irrevocably sour the relationship between the two governments. Responding to the allegations, the Empire’s Foreign Minister, Fred Deeds, called on Dover to retract his statements and issue a full apology. Democracy NOW leader Oscar Casement reacted to the development by slamming the Legopolis regime which he labelled “tyrannical”. 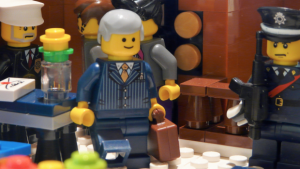 In their quest for improved minifig rights and free elections, Democracy NOW has been a thorn in the side of the both the Legoland and Legopolis regimes for a number of years. The group first emerged in the federation with their sister-group coming to light in Legoland last year in pro-democracy rallies. The group was never officially banned in Legoland but they were oppressed. This ended when prior to the 2017 election the Council of the Empire granted the group political party status. The party went on to field 4 candidates with one subsequently elected. Political commentators believe that the party was allowed partake solely to add legitimacy to the elections and because they were no longer deemed a threat to the establishment having little resources and time to mobilise support.